Cut cheeks from peach, place flesh side down on a chargrill plate or non stick frypan. Cook until caramelised. 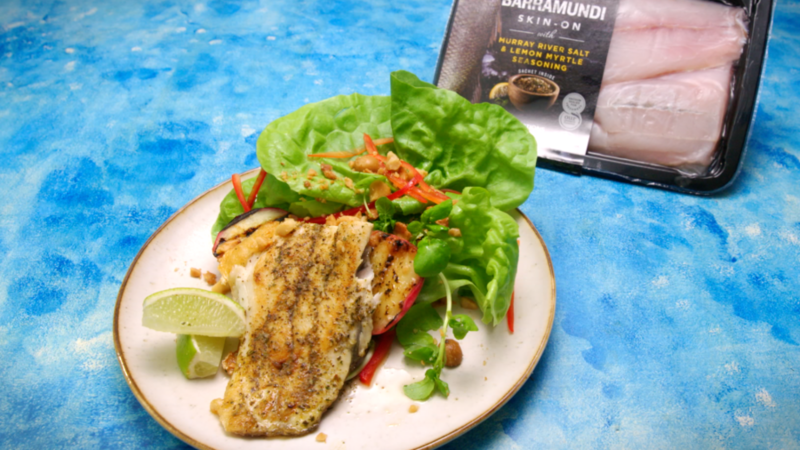 Pan fry John West Barramundi following packet directions. Arrange lettuce, watercress, capsicum and macadamia nuts on serving plates. Lightly drizzle with macadamia oil and sprinkle over finger lime. Serve fish with salad and peach cheeks on the side. TIP: If finger limes are not in season substitute with lime wedges for serving.